Apple Watch is a smartwatch developed by Apple Inc. It incorporates fitness tracking and health-orientated capabilities as well as integration with iOS and other Apple products and services. The device is available in three "collections": Apple Watch Sport, Apple Watch and Apple Watch Edition. The watch is distinguished by different combinations of cases and interchangeable bands. For apple users, want to listen to music without carrying the heave and large iPhone during a run or workout? The pretty great news is that it would be possible to play music directly from Apple's another great products - Apple Watch without the need for an iPhone. Since Apple Watch has the ability to play music wirelessly via Bluetooth, just invest a pair of Bluetooth-enabled headphones, you will be able to listen to your favorite music when you are running. 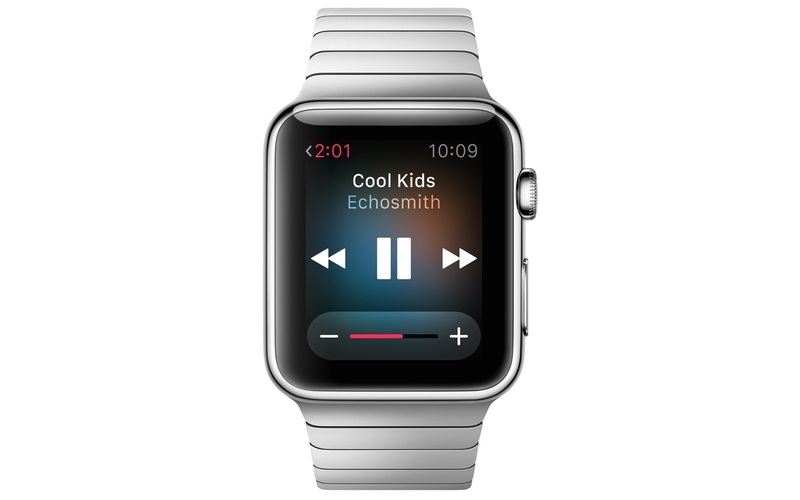 However, you can not play any music you like on Apple Watch, since Apple Watch has limited audio playback capability. As a music player, it can support all iPod supported audio formats including AAC, Protected AAC from iTunes Store, HE-AAC, MP3, MP3 VBR, Audible (formats 2, 3, 4, Audible Enhanced Audio, AAX, and AAX+), Apple Lossless, AIFF, and WAV. However, you're out of luck to to play some other audio formats such as FLAC, OGG, WMA, APE, RAM, etc on Apple Watch. To enrich your Apple Watch with more audio content, you can download a audio converter application to solve Apple Watch audio playback problems, here, Pavtube Video Converter and Pavtube Video Converter for Mac are recommended to Windows and Mac users to easily and efficiently convert various audio formats such as FLAC, OGG, WMA, APE, RAM, etc to Apple Watch compatible formats so that your can play audio on Apple Watch with ease. How to Convert FLAC, OGG, WMA, APE, RAM, etc Audio on Apple Watch Windows and Mac? Step 1: Add audio files to the software. 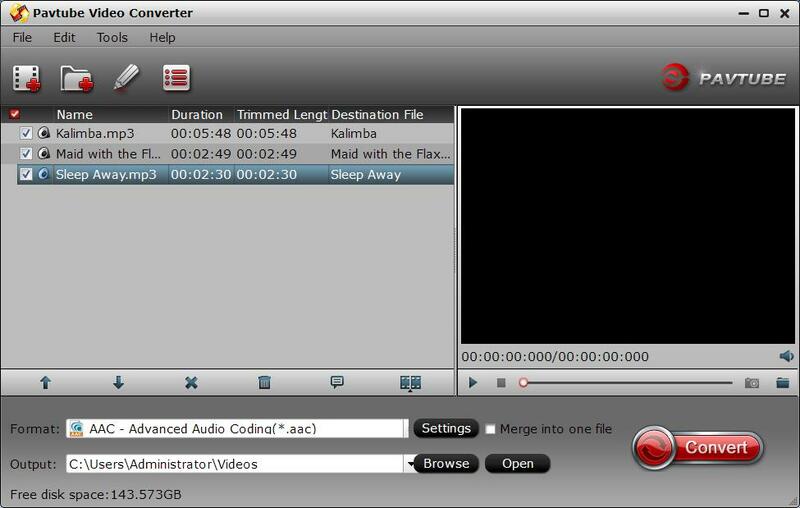 Launch the program on your computer, click "File" menu and select "Add Video/Audio" to import source audio files to the program. Step 2: Set output format for Apple Watch. 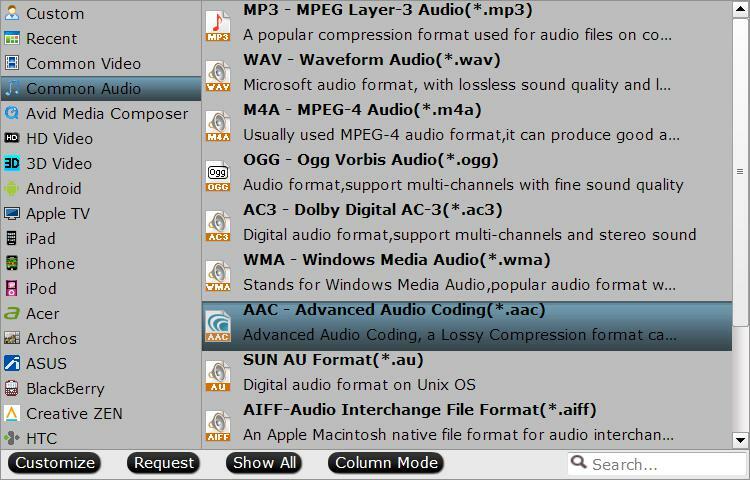 From "Format" drop-down list, select "Common Audio > AAC - Advanced Audio Coding (*.aac)" as the output profile format. Step 3: Merge audio files into one. Select the audio files you want to join together and then tick "Merge into one file" on the main interface to combine separate audio files into one. Step 4: Convert audio to Apple Watch. Start the conversion process by hitting the right-bottom "Convert" button to convert FLAC, OGG, WMA, APE, RAM, etc to watch on Apple TV.